Agder Energi and the University of Agder want computers to learn how to operate the energy production. If they manage that, they will be the first in the world to do so. Water power plants have a seemingly inexhaustible source of energy. Nevertheless, at all times there is only a limited amount of water available in the water impounding dams, and the challenge is to use this water optimally. The old mathematical models operating the power production today is approximately 30 years old, and it is challenging to optimize the production to become as profitable as possible. ”The energy production is so complex that it is difficult to match the mathematic models with reality. There is a lot of uncertainty associated with planning according to future precipitation and electricity prices, in addition to uncertainty around the physics in the system,” says professor Ole-Christoffer Granmo, at the Department of ICT at the University of Agder (UiA). Along with the energy company Agder Energi, he is planning to use so-called deep reinforcement learning, where the machines learn by trial and error on its own. With that, the computers can build models that take inaccuracy and uncertainty into account. 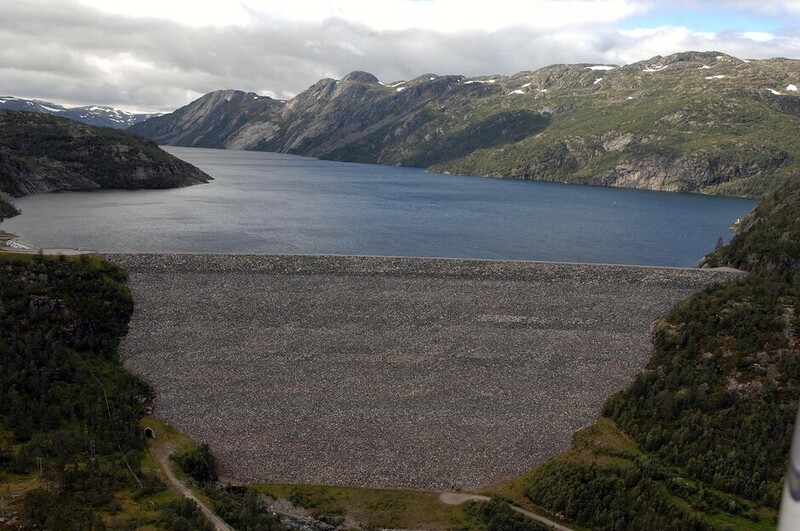 The project Generic Hydropower Optimization Using Deep Reinforcement Learning has a budget of NOK 5.4 million, and has received support from The Research Council of Norway’s ENERGIX program. ”We wish to be a part of this to improve the way we allocate the water resources. UiA is leading i Norway in artificial intelligence, and we want to support the local knowledge and competence they have,” says Bernt Viggo Matheussen, manager of the department of hydrology and meteorology in Agder Energi. If they succeed in making computer programmes learn to operate the water reserves on its own, it will be the first solution in the world using deep reinforcement learning to optimize energy production. Granmo says that there is no recipe on how to solve this. ”To go into a completely unexplored area and be among the first to create something new is among the most exciting to be a part of as a researcher. This is also a very exciting project, since the road from a break through to utilization of the results in the energy sector is very short. We think practical benefits and ground-breaking research at the same time,” says Granmo. Since Granmo started at UiA in 2002, a strong environment of artificial intelligence (AI) and been built at the university. This is further strengthened when the Centre of Artificial Intelligence Research opens at UiA in Grimstad Thursday 2. March 2017. The strategic research areas at the centre will be machines that explore, experiment and learn; deep information understanding and thinking; and natural language understanding, language generating and interaction. Researchers of artificial intelligence at UiA have projects within these subjects together with SINTEF, the University of Oslo, Oslo University Hospital, the Hospital of Southern Norway and Agder Energi. ”We want to cooperate even more with the business community and public sector, and we will lead an innovation arena where the surroundings can be a part of the research,” says Granmo.